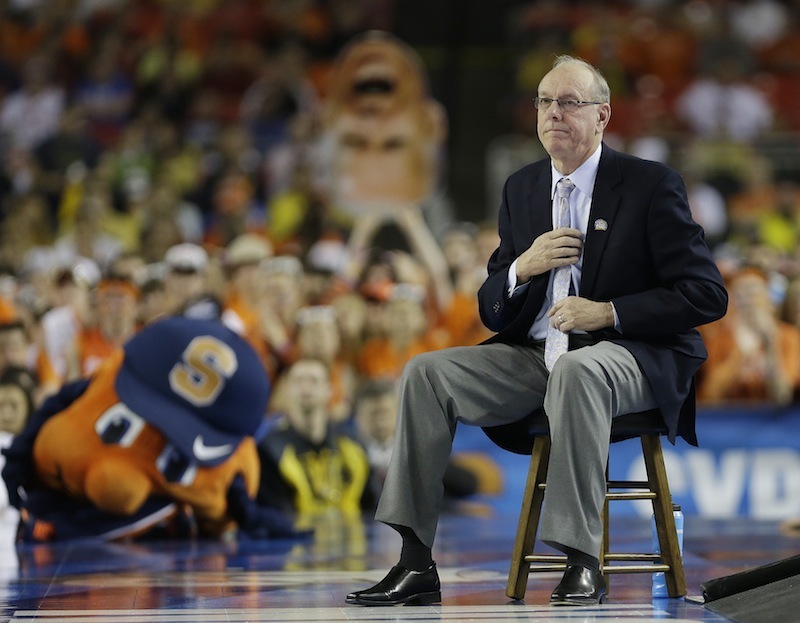 A wire-to-wire (foul-fest, timeout-filled, commercial-break heavy) battle ended in Jim Boeheim making a number of very Jim Boeheim faces and a relatively easy call for the refs: Jordan Morgan taking a charge from Brandon Triche with 20 seconds left, which, in hindsight, finished off Syracuse. Michigan rode Mitch McGary to victory and got much-needed three-point shooting off the bench, overcoming a rough performance from recent Wooden Award-recipient Trey Burke and team-wide woes at the free throw line, where the Wolverines shot 11/20 (2/6 in the final 48 seconds). 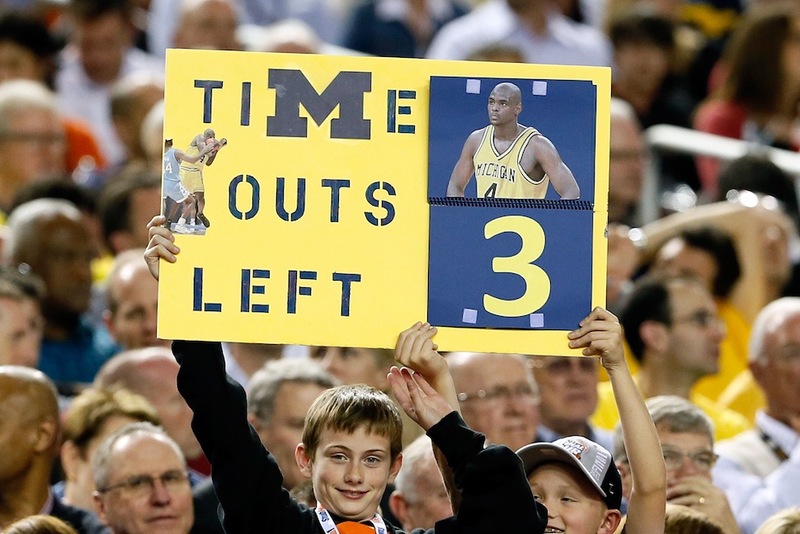 It'll be Michigan vs. Louisville on Monday, and your guess is as good as mine. For everyone's sake, let's hope this kid shows up again.